If a young company wants to survive in today’s always-on business landscape, it needs to be agile. Becoming alert and flexible will prove invaluable as a startup scales. Agility should be ingrained in a company’s culture from the get-go, instead of forced upon it later on down the line. Let’s explore what exactly it means to be an agile business, and how executives can establish agility at their company. 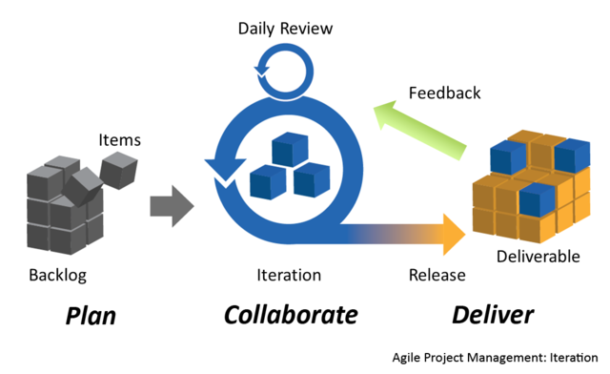 In the words of McKinsey principal Aaron De Smet, “Agility is the ability of an organization to renew itself, adapt, change quickly, and succeed in a rapidly changing, ambiguous, turbulent environment.” The phenomenon is usually associated with project management, and especially the processes surrounding software development. Nevertheless, agility can be incorporated into any organizational function. Why Does Being Agile Matter? There are numerous advantages associated with being agile, on both the individual and organizational level. From a team-wide perspective, employees are more motivated and engaged as a result of working at an accelerated pace. Moreover, they can see the fruits of their labor realized more quickly with agile processes in place, creating a sense of accomplishment and increasing momentum. From an organizational standpoint, teams are able to work faster and adjust to rapidly changing market fluctuations and customer demands, thus gaining an edge over the competition. Agility also fosters an environment of constant learning and improvement, which all departments can benefit from. Companies that adopt the agile process say their prioritization, productivity, and project visibility all improve, according to VersionOne’s State of Agile survey. In addition, 73% of those polled revealed that they complete agile projects faster than traditional ones. Becoming agile doesn’t happen overnight. It takes some planning, and most certainly dedication, before fully coming to fruition. Below are some steps startups can take to implement agility on the homefront. Obtain a commitment from senior leaders and management. Without their guidance and support, agility will not be sustainable. These individuals should first educate themselves on the principles of agility and examine case studies of other successful agile organizations. Divide projects into biweekly or monthly sprints, always upholding a unified goal. Place emphasis on getting deliverables out fast and tweaking them later as needed rather than on “perfect” releases that take longer to produce. Hold regular status meetings to keep all involved parties in the loop. Employ project management tools that allow for instant communication and promote organization. Management should collect feedback from team members about what aspects of a process are working and which ones are not. Managers also need to administer feedback to employees accordingly to show their commitment to each person’s success. Agility is all about remaining flexible and neglecting any fear of failure. When hesitation is taken out of the equation, employees become more resourceful and willing to problem solve using out-of-the-box solutions. An agile startup puts itself in a position to grow effectively, as it’s continuously adapting to changing market demands and end-user preferences. Once a company receives buy-in from its executives, embraces transparency amongst teams, devotes itself to ongoing education, agility can find its place. Frank Brogie is the Content Development team lead at Repsly. A hungry researcher with experience blogging about both technology and field sales, he’s excited to help his readers grow their business. When his hands aren’t on the keyboard, they’re probably tuning in to the latest NBA game or playing disc golf.